Melissa joined the Penn Memory Center in 2018 as the clinical research coordinator for the REVEAL-SCAN study. Before coming to the PMC, Melissa worked at the Rutgers Center of Alcohol Studies on several studies in the field of addition. Her primary focus was running a clinical trial involving the reduction of drug and alcohol cravings with paced breathing and assisting in data analysis. She also served as the volunteer coordinator for the Cardiac Neuroscience Laboratory. 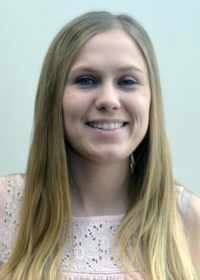 Melissa earned her bachelor’s degree in psychology with a minor in cognitive science from the University of Pennsylvania in 2015 and is looking forward to exploring graduate studies in the future.